After their acquittal in June 2012, the two Somalis tried for the 2008 hijack of the luxury yacht Le Ponant have recently obtained financial compensation for their 4 year-long detention in France. We have previously reported about Le Ponant trial here. Along with the 2 acquitted individuals, a third Somali was convicted to 4 years but released immediately after the verdict upon having served his sentence. We have also reported about their living conditions in France here (see also, similarly, here). In addition, 2 other accused were sentenced to 10 and 7 years of detention, respectively. We have made available the judgement in the case here. No appeal was launced by the prosecution or the defendants. The compensation, among the first of its kind for individuals acquitted in piracy trials before various national courts of States engaged in anti-piracy acitivies off the coast of Somalia, includes 90.000 Euros each in moral damages and 3.000 and 5.000 euros each, respectively, for the loss of their salary as fishermen while in detention. The lawyers for the two Somalis have appealed the decision, seeking 450.000 Euros instead. 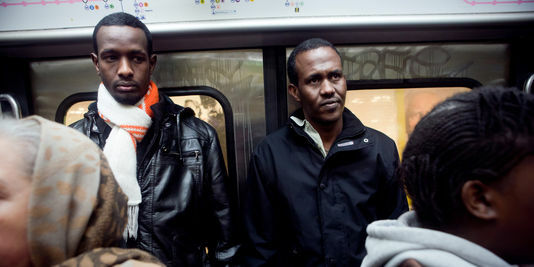 Meanwhile, the Somalis continue to live in France, pending a decision on their request for asylum.